Tuscola County (pop. 55,729) is located on the “Thumb” of Michigan, which extends into Lake Huron. 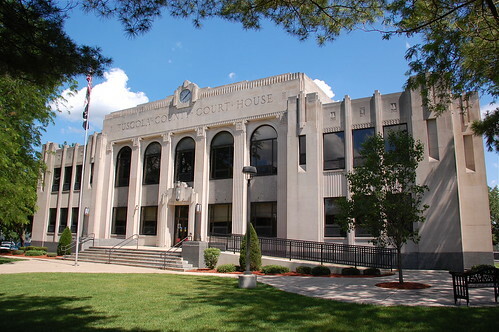 The county seat of Tuscola County is the city of Caro (pop. 4,229). 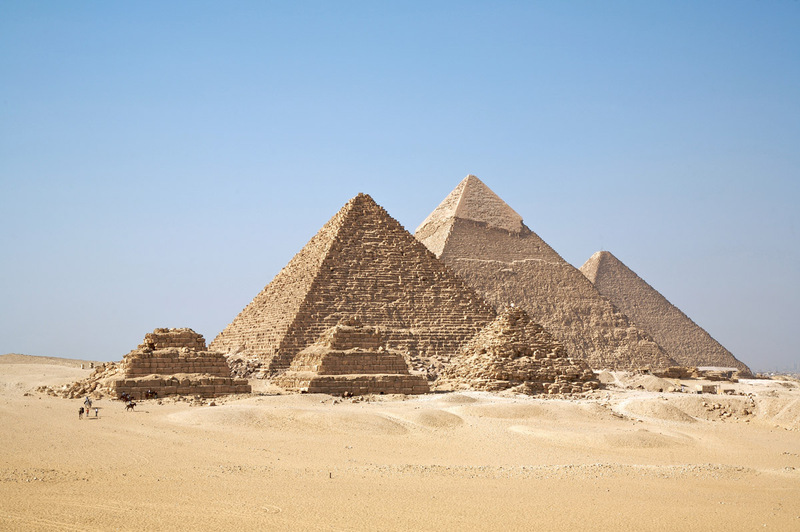 Caro got its name as a variation on Cairo, Egypt. 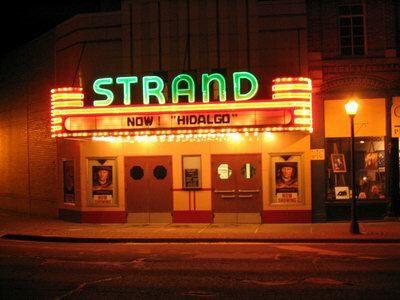 The Strand Theatre in Caro dates from the 1920s. The city of Vassar (pop. 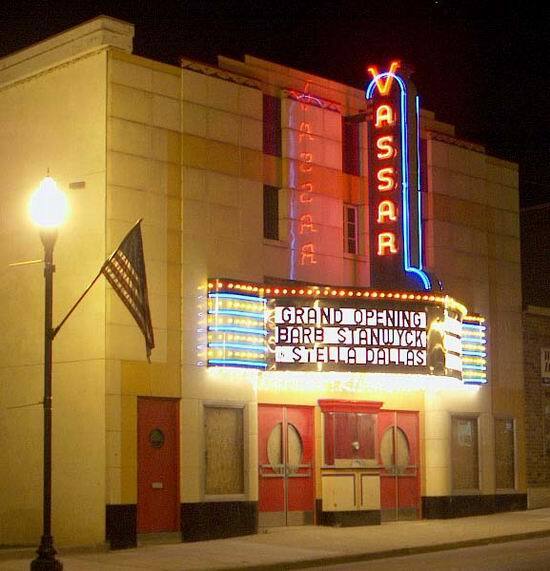 2,697) is the home of the Vassar Theatre, also still in business. 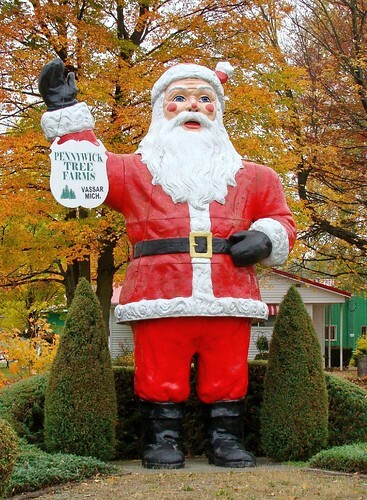 The Pennywick Christmas Tree Farm in Vassar features a giant Santa Claus. The village of Millington (pop. 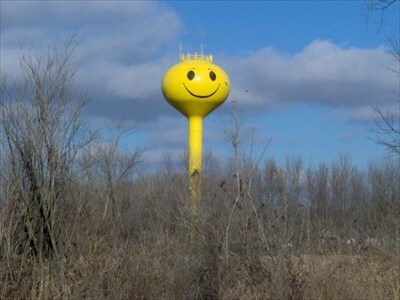 1,072) has a smiley-face water tower. Agricultural crops in Tuscola County include sugar beets and beans. The village of Fairgrove (pop. 563) hosts the annual Michigan Bean Festival. This entry was posted in Michigan and tagged Caro, Michigan Bean Festival, Tuscola County. Nice theaters. I like that they have bean festival.